Business psychologist Douglas LaBier says a transformation is taking place in the American workplace. He calls it “The Rise of the 4.0 Career,” where people aren’t just looking for more meaning, balance and success in their life and work, they want their work to make a real difference in their community and world. 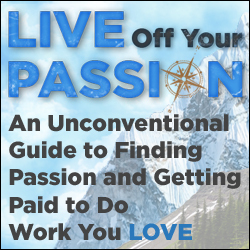 The 1.0 career describes doing whatever kind of work enables you to survive. It’s what people do when they’re in situations of extreme hardship, political upheaval, or within socioeconomic conditions that limit their opportunity and choices. That probably describes the situation for the masses of people throughout most of history. And of course it exists today, especially among those who have been hardest hit by the current recession. In these situations, your criterion for “success” is being able to earn enough of a living to survive — pay your bills and support your family. The conflicts that people experience within the 1.0 career often include the impact of working conditions, discrimination and limited opportunities for getting onto a career path that can lead to something better. Version 2.0 emerged with the political and economic environments that supported the emergence of the modern “career,” around the turn of the 20th century. That is, work within increasingly large, bureaucratic organizations that required layers of management and administration — white-collar jobs, within bureaucracies. 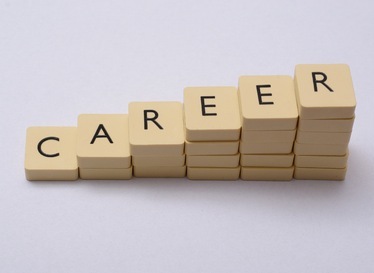 Your career could advance along a defined path if you were able to gain a foothold within it. The 2.0 career is what most people define as “careerism:” Pursuing more power, authority, money and position within an organization. It’s all about performing — doing whatever gets you those external rewards. Over time, you become set up for conflicts between performing to get those rewards on the one hand, and your internal desire to achieve something of deeper value, on the other. The 2.0 career still predominates within today’s career culture. It’s where you find the conditions that generate, for example, work-life conflict, boredom, workplace bullying, hostile management practices, and subtle racial and gender barriers to moving up. The 3.0 careerist struggles for more balance between work and personal life, and is less willing than the 2.0 careerist to stick with an unfulfilling job, or settle for one when job-hunting. Conflicts within the 3.0 orientation are visible, for example, in the pushback against the longer hours companies increasingly pressure people into. Or, in rebellion against being available 24/7, even while on a vacation. The 3.0 careerists do not want their professional lives to be the enemy of their talents or interests outside work. They want less fragmentation and more integration among the different parts of their lives. More than just having a successful career, they want their careers to serve and support a successful personal life. That latter point distinguishes the 3.0 from the emerging 4.0 career. The former is more self-development-focused. In contrast, the 4.0 careerist wants more than sufficient work-life balance and personal meaning. To be sure, those remain important. But the 4.0 career is more focused on having impact on something larger than oneself. If you’re not already there, LaBier says you’ll likely feel an increasing pull into the 4.0 career in the future. And even if you don’t, you’ll certainly need to know how to work with those who are. The 4.0 career is more about winning as a team, than about individual success. It’s collaboration instead of self-interest. It’s about contributing to the common good through the value and usefulness of the products and services you offer. I have definitely noticed a shift in my own life over the last few years, to desire not just personal success and work-life balance, but also the ability to make a significant difference in the lives of others. Where are you at in your career path – 1.0, 2.0, 3.0, or 4.0? Do you feel a shift taking place in your own life, or in your workplace, toward a 4.0 career? Please share your experience in the comments section. What are the top careers for the next decade?